Fancy a fifty year bond? US equity indexes closed moderately mixed, sp +1pt at 2373. The two leaders - Trans/R2K, settled -0.4% and +0.4% respectively. VIX settled -2.7% at 11.35. Near term outlook offers moderate chop across Tuesday and into the FOMC announcement of Wed' @ 2pm. 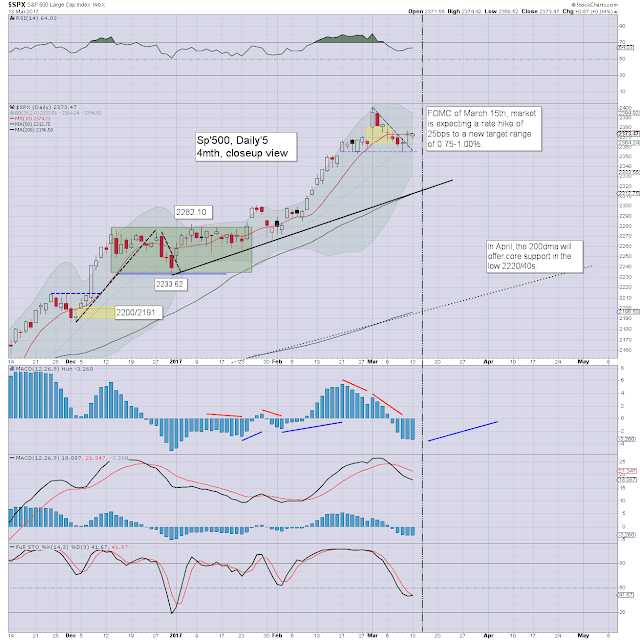 Broadly, the market looks strong to the 2500s, seemingly viable as early as late April. There is little to add, as the week began on a very subdued note, with the sp' seeing a trading range of just 6pts. 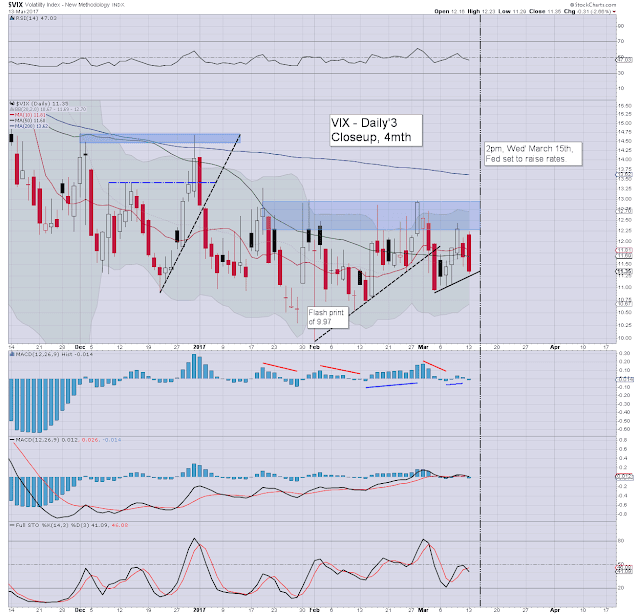 The VIX itself was naturally very subdued, melting a little lower to the low 11s. 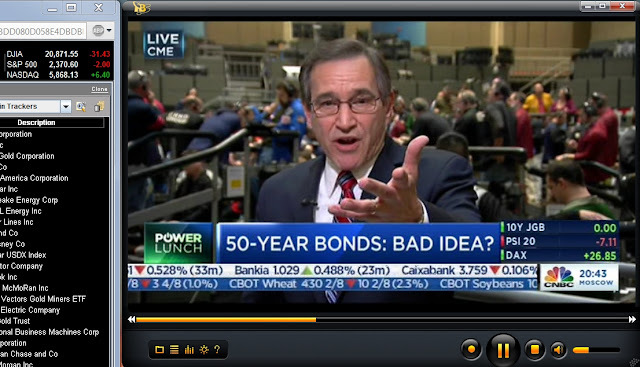 On clown finance TV today they were once again raising the issue that the US Treasury might eventually start issuing 50yr bonds. I have long believed that were Trump to become President, that we'd eventually see 'infrastructure bonds'. Such bonds would be hyper-long term, on the order of half a century. For a duration that far out, we have to be looking at 50-100bps above the current 10yr yield of 2.6%. Its arguably just a case of whether this happens before the next recession... or during. Certainly... by 2019/20. 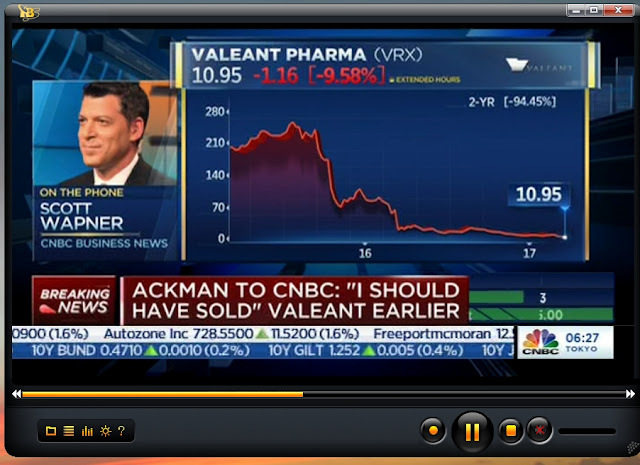 So Ackman has sold for around a 90% loss (approx $200 million), and managed to commit just about every trading mistake possible within his monstrous VRX-long. Do some of the super-pros not use stops when trading other people's money? Isn't that beyond insane? The fact he is now coming out with a 'I should have sold earlier' comment... that is just incredible. If you were a Pershing Square investor... what would you say to that?